Photo courtesy of Getty Images as used in BBC article. East Lothian Play Association – ELPA are running another morning of workshops open to teachers, volunteers, practitioners and parents / carers. Something for everyone. It’s free, but places must be booked in advance. 29th April 9-12:30 Musselburgh East Community and Learning Centre. Inclusive Games, Environmental Art, Mindfulness for Children including those with additional support needs and Make-Do-Review – children’s participatory planning and learning. A small marketplace will also be set up for information and Upstart Scotland’s Sue Palmer will be attending too. We note below our Training Programme for this term and would ask you to let us know if you have any specific training requests and we will do our best to organise a training session for you. Further Recruitment and Selection Training, Parents role in Inspection Process, Health and Safety and more Information Sessions are anticipated for next session. Council member Ralph Averbuch recently attended the first ever Parent Council Conference which was organised by the Dept of Education and Children’s Services in East Lothian and took place in Musselburgh Grammar School on the evening of 23 February. This post gives a short report of the event to provide a flavour of what he learned from the two workshops he was able to attend. There were six workshops in all and Ralph was on ‘Website and Blogs’ with David Gilmour from Curriculum ICT, Education & Children’s Services in East Lothian and ‘The Role of Parents in an HMIE Inspection’ with Phil Denning, District Inspector HMIE. David Gilmour, an ex Science and Maths Teacher, now focuses on how technology can be used to help schools, parents and learning generally. Currently there are some 1,000 blogs and websites under East Lothian’s www.edubuzz.org web service which was set up for this purpose and uses a free tool called WordPress Multi User to give all schools, staff and parents the ability to set up and maintain their own sites. David demonstrated what different schools around the area were doing. At Humbie they have included a parent’s forum for fostering discussion. 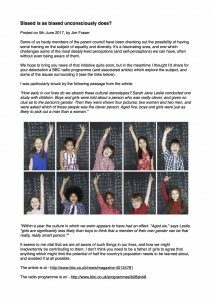 Meanwhile in Dunbar Primary School, the school menu and all their newsletters get published to the blog. A number of sites include information from the PTA, e.g. Kings Meadow Primary. Interestingly Kings Meadow also includes an email alert service to allow parents to receive an email in their own inboxes whenever new content is published on the blog. It has 104 subscribers. Preston Lodge has 1578 email subscribers for its service and uses Google Calendar to help parents keep up to date with what’s on and when. David highlighted how some schools also post the information of notes for home, which normally go into school bags for parents, so they can then receive an email alert. This works to ensure that, even if messages go astray, there’s an electronic back up in the parent’s email inbox. David cited the Campie Primary blog as one of the best examples of integrated school/parents information with a dedicated parent zone. But it’s not simply about schools or parents setting up blogs on www.edubuzz.org. The Curriculum for Excellence team in East Lothian has a blog specifically about their work, using the same tools to maintain the site for any interested parties who want to check it out. Lastly David mentioned that the opportunity is there for him to run an After School Web Club session where he can come and show teachers, pupils and parents how to blog. In Part 2 of his report, Ralph Averbuch covers the second workshop he attended which was organised by the Dept of Education and Children’s Services in East Lothian and took place in Musselburgh Grammar School on the evening of 23 February. The second workshop was under the title ‘The Role of Parents in an HMIE Inspection’ and was presented by Phil Denning, District Inspector HMIE in East Lothian. 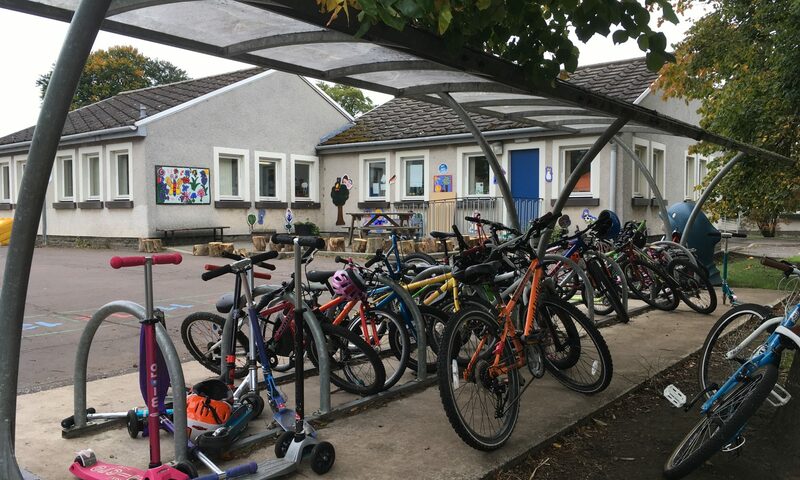 According to Phil Denning every parent can expect at least one inspection during the lifetime of their child’s attendance at an East Lothian school. With 45 schools in all, secondary schools get inspected about once every seven years and primaries every nine. Phil highlighted how there has been a major change in the way that inspections are carried out since 2008. Summarising, they were once profession oriented, focusing mostly on teacher skills and relatively narrow performance targets. Since the change in 2008, it is much more comprehensive in approach, looking at all the various stakeholders inside and outside the school and looking at a much wider array of issues than simply how children are performing in exams. Typically an inspection is announced three weeks prior to inspectors visiting and it lasts for five working days. Inspectors are from all over and include a lay inspector… a member of the public with particular interest in the views of parents and kids. Inspections are very much focused around the school’s own self assessment and on occasion, where it’s clear to inspectors that this assessment is accurate they occasionally (5% of cases) cut off inspections early. Questionnaires also go out to parents when an inspection is announced. Inspections now use a sample methodology where HMIE inspectors speak to a wide range of pupils, parents and other stakeholders. They purposely look to speak to both high and low achieving kids as well as those who sit in the middle of the performance bell curve. Inspectors also carry out individuals interviews (40 to 50 minutes) and focus groups (25 – 30 minutes) during inspections. The chair of the parent council of the school as well as the head teacher are provided with a draft of the report and asked to comment upon it before publication. If a report cites a need for remedial action, this follow up is where Phil Denning, as District Inspector HMIE in East Lothian, comes in. It’s Phil who carries out any necessary subsequent follow up. However, at the moment only one school has any cause for concern in East Lothian. Typically a report comes back three to four weeks after an inspection and this document is also radically different since the 2008 changes in how inspections are carried out. They no longer utilise sector specific language and educational acronyms which only the teaching profession could understand and now focus on using plain english in order to ensure that all stakeholders can understand the report. All inspections are published on the web and shared with parents. For anyone interested to know more You can get more infomation on Her Majesty’s Inspectorate of Education website. And anyone can see Pencaitland Primary School’s May 2008 report here.